hen we considered running a look at the year’s highlights in the algae world, we decided to go right to the experts and see what was on their minds over this past year. It’s pretty easy to do this in the Internet Age. Through analytics we are able to see how the hundreds of stories that A.I.M. ran over the past year rated with you, the readers. We figure you are the ones building the industry. You are staying informed and seeking wisdom. And your interests and involvements are the best predictor of the future for the evolving world of algae. 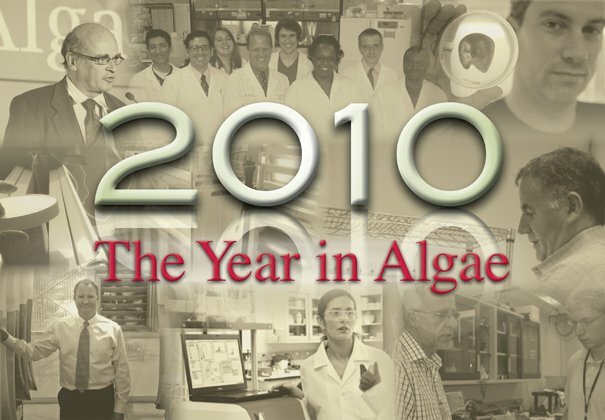 So then, here are your top ten algae stories of the year….counting down. What’s his story? His experience and brainpower are in rare company, and he has many answers to the questions of the industry. While the answers are not always popular, they are taken seriously because of his research credentials, not the least of which his high profile with the Aquatic Species Program. Why it’s important: It is easy, especially for newcomers to the field of algae, to get caught up in the high expectations and exaggerated measurements applied to algae. Talk is cheap, but results speak for themselves. Here is an advocate for lowered expectations. What’s his story? 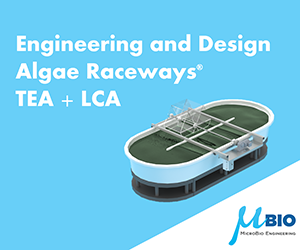 He has assembled a powerful algae sciences learning environment in the middle of a hugely popular community college, in the energy epicenter of Houston, with labs and programs in cahoots with the National Algae Association. Why it’s important: The training ground for many of the employees required to build the infrastructure of the algae biofuel sector are expected to come from two and four year programs at community colleges, especially in energy conscious regions. What’s his story? The highly regarded researcher with broad talents and deep experience jumped from Sapphire to BioCentric to Riggs Eckelberry’s OriginOil this year, and is now facilitating their international expansion and technology depth. Why it’s important: The flip side of collaboration is having broad knowledge in house. High-level executives and employees who have held top spots at other leading institutions can be invaluable in developing the potential of a promising startup. What’s his story? He’s become a kind of spokesman for the algae biofuels industry, working out of one of the highest profile algae operations, one where the government and Bill Gates have stepped up big to assist what they hope is an early success story for the industry. Why it’s important: Sapphire, like few other companies seems to be loaded with all the right stuff to establish a large-scale operation and show how it’s done. It’s also a very big gamble that if for any reason does not succeed, will be a tough pill to swallow for many in the industry. What’s their story? You can do everything else with algae, so what’s the fuss? 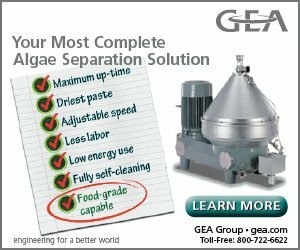 Why not solid jet fuel from algal biomass? This may be one of those cases where someone with a dream gets the ball rolling and his independent small business kicks the butts of the big guys….or maybe not. Why it’s important: It’s the co-products that are now driving the show. So solid jet/rocket fuel may still be a biofuel, but it’s something new on the scene with a potentially huge market if it all works out. Big players are lining up to have their biomass tested. What’s the story? This past year saw the introduction of several algal cell analysis systems designed to be used in more compact environments, with more features, and at lower prices than more traditional laboratory measurement devices. Why it’s important: These devices, like much of the critical equipment in algae production, are largely based on adaptation from other industries. Inventing from scratch is a slow process, but identifying similar functions and operations with technology from other industries can bring great efficiencies to algal production. What’s his story? This one is about collaboration, the buzzword for the year in algae. José conceived—and got the DOE to back—a plan that draws together Los Alamos National Laboratories with 30-some partners from science, government and private industry to optimize the process of getting to algal biofuels. Why it’s important: Stirring up this $50 million stew pot for the three-year run of the project should certainly bring to the surface many streamlining elements for algal biofuels, from the biology through to refining and delivery systems. What’s his story? After a year that started with Dennis Fisher’s BioCentric Energy taking a high and bullish profile at the NAA’s West Coast conference and ended with an employee walkout under curious circumstances, there’s definitely a story to be told and a lesson to be learned here. Why it’s important: When the real story comes out, there may be something of a cautionary tale for both algae investors and entrepreneurs in the rise and fall of BioCentric. What’s his story? With a relatively long and intense history in algal biofuels, Harrison and his partner Jonathan ruled out both open ponds and photobioreactors to develop their business around feeding sugar to algae in dark fermentation tanks. It has many in the industry wondering if it just may be the way to go. Why it’s important: Maybe it’s that Solazyme has actually made it happen. They demonstrated producing and delivering the first 20,000 gallons of algal fuel to a client no less than the U.S. Navy. Or, possibly the industry is just in search of a rock star figure. What’s his story? Mark’s books and his ongoing series in A.I.M. have been a way for industry professionals to broaden their understanding of the many interrelating facets of algae, as well as for newcomers to jump into the warm water of algae education. 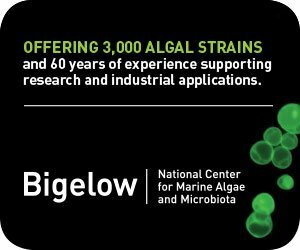 Why it’s important: This is a no brainer—everyone needs more education in this field, and this acclaimed author and professor at Arizona State delivers his inspired, universal perspective on Algae’s past, present and future, in a humanistic and easily understandable collection of bite sized pieces. Happy Holidays, and best wishes for a healthy and prosperous 2011.